Despite recent market wide appreciation, Ethereum (ETH) is literal unresponsive and trading below $550. Because of this and in line with our previous Ethereum (ETH) technical analysis, we remain neutral. Besides, we remain cautious and aware that any dip below $400 will mean bear trend resumption. Interesting developments in the crypto world and as the market matures; chances are we might see more institutional involvement. Already, by accepting merchandise purchase in crypto, Samsung Stores across the three Baltic States of Lithuania, Latvia and Estonia are directly endorsing cryptocurrencies. Encouragingly, this could open the door for high stake companies to accept crypto. That would not only improve confidence in the sector but would help steady prices and probably eliminate volatility for which crypto is well known for. The reason is simple: at the moment not only can MyEtherWallet account holders easily buy ETH using their credit cards but they can also do so without having to through crypto exchanges. This is all courtesy of Simplex. 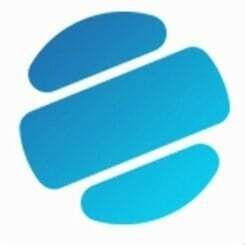 Simplex is under EU laws and shall be integrating its proprietary fraud detection technology in MyEtherWallet. 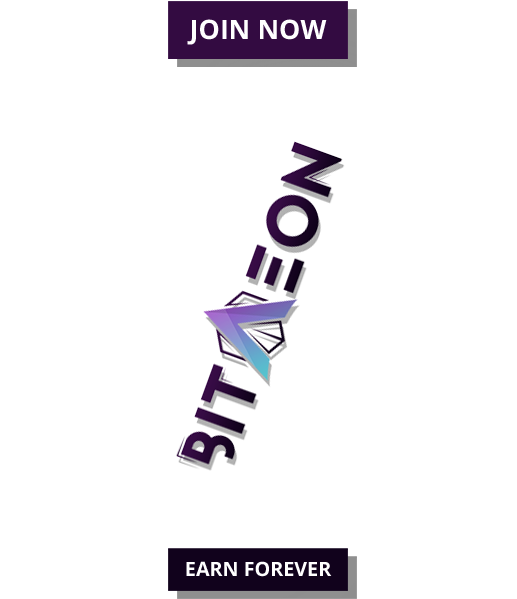 This way, not only will the process be seamless but it would be easy for new users who find it hard to navigate through exchanges. To curb money laundering, users will have to pass through a very simple KYC procedure. 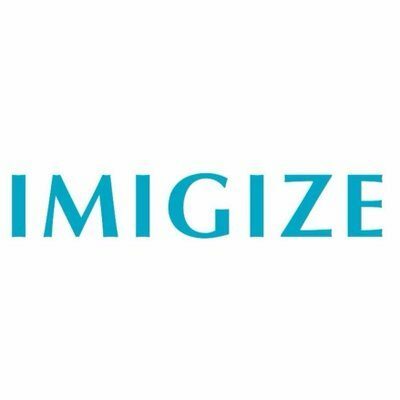 Undoubtedly, partnerships like these helps open up crypto investment spurring global adoption in the process. 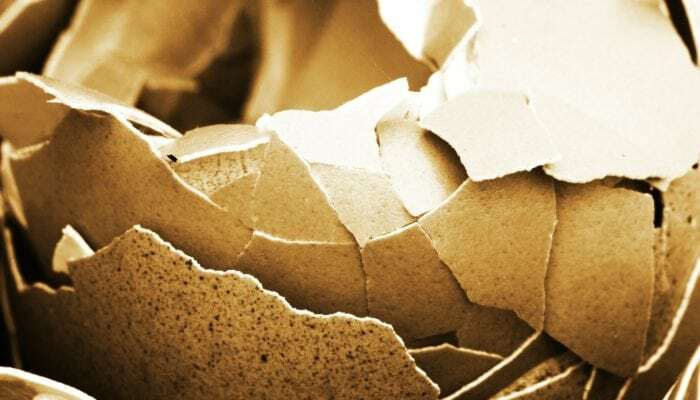 Beneath the excitement, bulls are trending on egg shells and the weekly chart draws a better picture of that. First, notice that ETH is basically trending within a four week consolidation. Besides, ETH price action is oscillating within week ending June 24 high low, a bearish high volume candlestick. 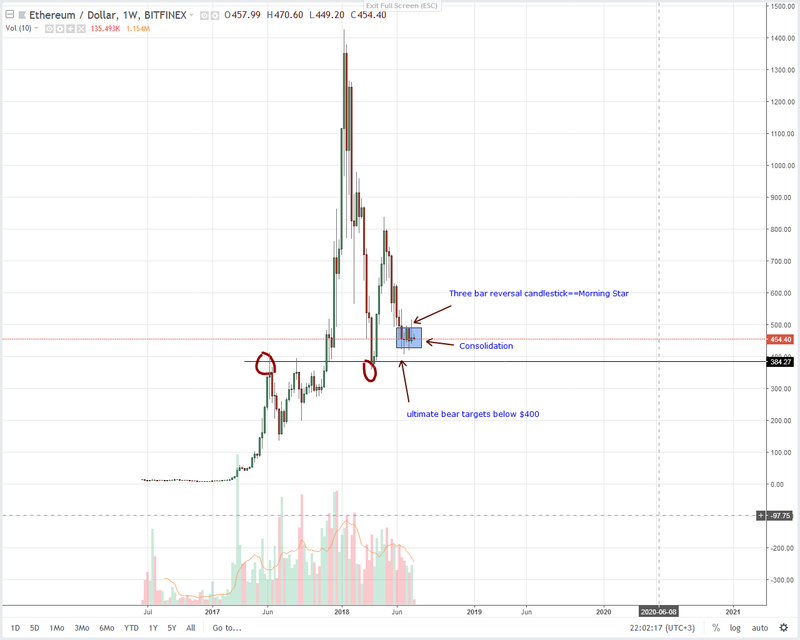 Overly, this was good for ETH because not only were bears losing steam but prices found support at $400, a round number. 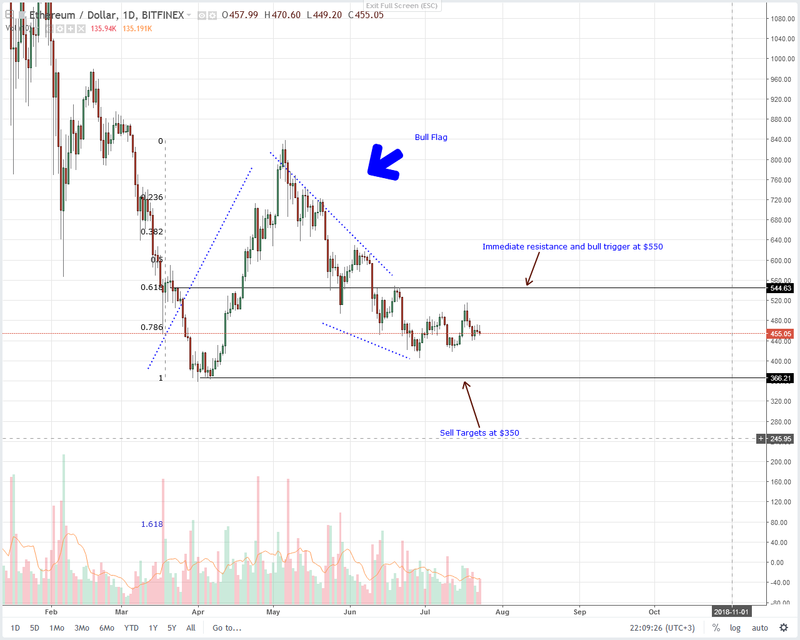 In my view and from previous analysis, any ETH break below $400 and Q1 lows at $380 would usher in the next bear wave which might end up driving prices to $150. As we can see, reversing the last two month losses would be a tall order for buyers. So, as laid out in our Ethereum trade plan, we need to see strong confirmations with prices surging above week ending June 24 highs at $550 before we begin looking for buy opportunities. Now, regardless of the overall market sentiment, we need to see strong bullish indicators before we tow with Ethereum buyers. Otherwise, this would end up being a painful bull trap for ETH buyers. After all, from previous Ethereum technical analysis, ETH should trade above $550 before we proceed and buy on dips. Before then, we shall maintain a neutral stand bearing in mind that any sell pressure below $400 would be inviting for bears. Remember, any break below and bears might drive prices below $350 towards $150.